Oompah Brass started out with the firm intention of being a traditional German Oompah Band, playing all the famous waltzes polkas and marches that none of you will have heard of. Very quickly we realised that it was much more fun for the audience, and especially the band, to play tunes everyone knows and can sing along to. 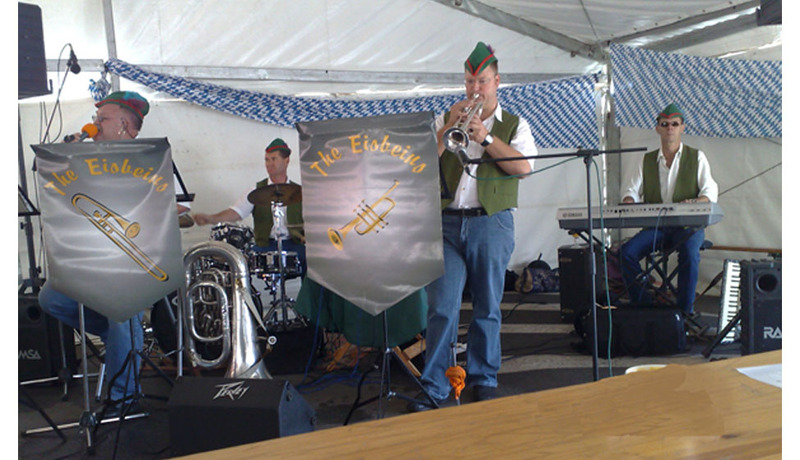 The Eisbeins are a talented group that has travelled all over South Africa to perform at various venues for beer festivals, formal occasions and fundraisers.They have traveled all over the country to perform at various venues for beer festivals. Thus we began to arrange classic pop songs with a slight Bavarian lilt, and Oompop was born! Since then, we’ve taken our act all over Europe, playing to 60,000 people at the Belgrade Beer Festival and returning our unique act to its spiritual home in Germany and Austria, performing to the masses on the Alps at the Snowbombing festival. We can be found in the Bavarian heartland of Fulham, regularly whipping a crowd of party goers into a frenzy at the Octoberfest Pub.